The Halloween Mantel. For now. My mantel is soooo hard to decorate. It’s an asymmetrical wooden nightmare. I am still not happy with this, but it’ll do. I will probably continue to tweak it. It looks great, Vivienne! You have the best Halloween decorations of anyone. Hope the SoCal social is a rousing success!! I’d like to be southern California with you! I so envy your decorating sense. 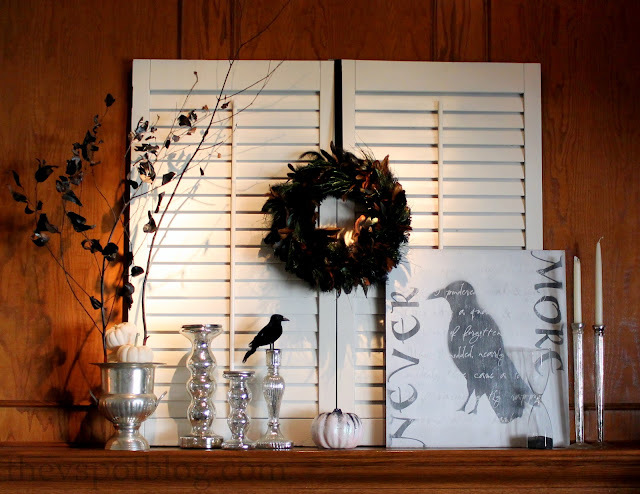 I fantasize about seasonal decorating, but have yet to pull it off. I am SO loving black and white with a touch of the mercury glass right now! And you perfected it! 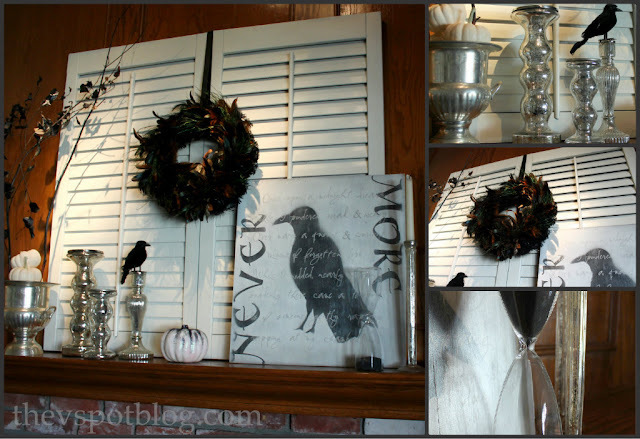 And you may have officially made me want to decorate for Halloween…. I somehow skipped Halloween this year and went for fall that could work for the whole season…shoot! :o) Anyways, thanks for the inspiration!